Hinoki Essential Oil is energizing and uplifting to the mind. Hinoki wood has a spicy, lemon scent, is light pinkish-brown in color, and is highly rot resistant. In Japan, it is also valued as an oil of relaxation and is often placed in baths. It may release minor agitation the mind and body; and promotes peace of mind. This section is a fun and easy reference guide for Hinoki essential oil. It will tell you how to use it and what to use it for. It will also provide you with some fun suggestions, safety precautions for you and your pet! 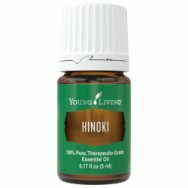 As I receive new tips and testimonials for Hinoki oil they will be added to the page, so check back frequently! Purchase Hinoki Essential Oil Here! Where is the Name Derived From? In Japan Hinoki means "white cedar"; it also means fire tree as it was and still is used to make fire through friction in the Shinto Shrines. Cypress comes from a Greek word “sempervivens” meaning “live forever”. Yes, it is considered one of the Five Sacred Trees of Kiso. Key wood used in architecture for because its ability to withstand rot. What are the Documented Hinoki Cypress Benefits and Uses? Calming and Relaxing. Use in bath or diffuse. What is the Spiritual Influence? Hinoki allows the mind and body to relax by grounding the body in mother earth. As it does this tension and stress is released. This oil is about opening the mind to potentiality and specifically opportunities. The more worry and stress we have in our life the more we limit our opportunities. To attract more opportunities we must be relaxed and allow the universe to bring them to us. Using this oil with Sacred Angel or White Angelica and Vetiver is particularly useful in this manner. Open to opportunity by smelling Sacred Angel (open crown chakra) or Three Wise Men, then smelling Hinoki Essential (open heart chakra), then grounding the opportunity into mother earth with Vetiver (root chakra). To release negativity or something you want to manifest in the world, I recommend using them in the opposite direction-first starting with Vetiver and ending with Sacred Angel. Can this Oil be used for Animals? Yes, however at this time I have only used for emotional release. Great with Vetiver! What are the Safety Precautions? First, only use therapeutic grade essential oils! Hinoki essential oil has no known contraindications. Pregnant women should use this oil with caution. Did you know that the Japanese use the wood for wooden bath tubs? In Japan, the daily bath is a prized and valued act and is seen as a way for the body and mind to relax and be purified. Did you know that the Emperors casket and shrine were made of Hinoki? This oil blends well with Jasmine, Ylang Ylang or Cypress. Make your own relaxing blend and use in the bath! Want to Purchase Hinoiki Japanese Cypress Essential Oil? Then go to The Oil Shop. Purchase Hinoki Oil at the Oil Shop!